The middle booster, after pushing the payload into space, returned nearly 10 minutes later for a successful landing on SpaceX’s seafaring drone ship 645 kilometres off the Florida coast. In the 2018 test mission, Heavy’s core booster missed the vessel and crashed into the Atlantic Ocean. 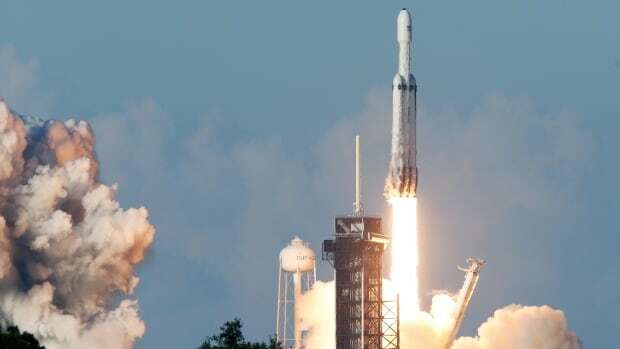 Liftoff with Heavy’s new military-certified Falcon 9 boosters was crucial in the race with Boeing-Lockheed venture United Launch Alliance and Jeff Bezos’ Blue Origin as Musk’s SpaceX, working to flight-prove its rocket fleet one mission at a time, aims to clinch a third of all U.S. National Security Space missions — coveted military contracts worth billions. The U.S. Air Force tapped SpaceX in 2018 to launcha classified military satellite for $130 million US. In February, it added three more missions in a $297-million contract.